Quilting-in-the-hoop has never been this much fun! 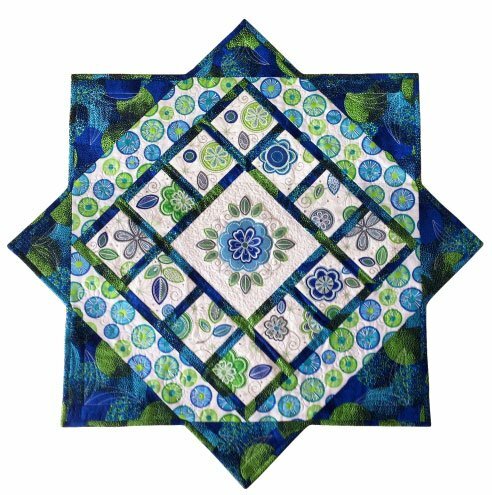 This clever star-shaped table topper features nine ready-to-stitch appliqué quilt blocks intertwined with cool outline quilting designs. The center is a spectacular BERNINA Jumbo Hoop design. As much fun to make as it is to look at! The star shape is an added surprise!